The Argory has to be one of my most favourite places. This National Trust property has always held a special place in my heart as when my husband and I got married, we rented the little gate-lodge at the entrance. young + in love - ha! It was a very 'other-worldly' experience, especially for me as I'd grown up living in a town and well... The Argory is pretty remote! What an experience though - we survived that crazy winter of 2010 and the BIG SNOW even with the single glazed windows! We only rented the cottage for about a year but made wonderful memories in our first year of marriage together. Now, 7 years later, I still love the place ... especially at Autumn time. I've spent 7 years perfecting the art of 'conker collecting' - getting to know the best tree spots and times of the month to visit. Now, with Phoebe, it is simply pure magic. What a joy to watch her little eyes light up as she finds 'onkers' big and 'onkers' small; little treasures to bring home and cherish. Phoebe proud as punch with her @tillyandcub basket, full to the brim with 'onkers'! The grounds of this National Trust property are simply stunning. The atmospheric 1820s gentry house stands in full glory at the top of the hill, overlooking the Blackwater river and Limetree walk. There are lots of fascinating trails to follow and explore in the 320 acre estate. Blackberry picking is another favourite of ours and we are in the right month for it! Grab some brown bags, head to the visitor centre for a map and go hunting! The river walk is always particularly good for spotting the best blackberries. In the courtyard of the house you will find the quaint and quirky Blackwater Bookshop - there are oodles of second hand books to browse and buy, or just take a quiet moment to yourself in a little book nook or read with the kids. If books aren't your thing then why not enjoy a cuppa and cake in the little courtyard tearoom. This cosy cafe has been recently renovated and is such a warm and welcoming space for visitors to relax in and recharge their batteries after strolling the grounds. There are always delicious homemade cakes and scones on the go, along with lunch options and great little snack boxes for the littles. Everything is made on site and recipes from the National Trust Cookbook are used along with seasonal favourites. Also in the courtyard you will find the Gift Shop. A place you will almost certainly find something to take home, either as a treat for yourself or gift for someone special. Their new range of woven rugs and throws are the perfect option as we head into those chillier months! For the little ones there is a playground with a zip-line and climbing frame for bigger kids. 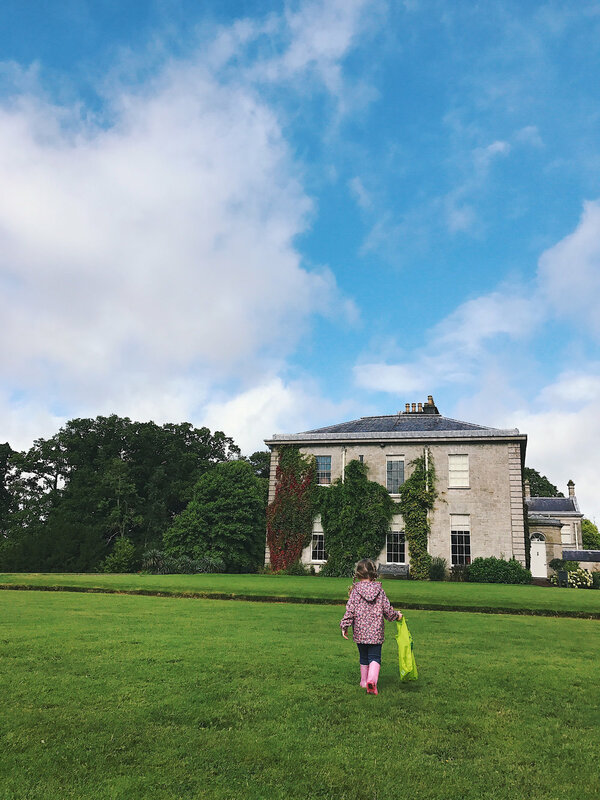 There is always something to see and do at The Argory, from a simple stroll to activities with the kids, there is something to suit everyone. 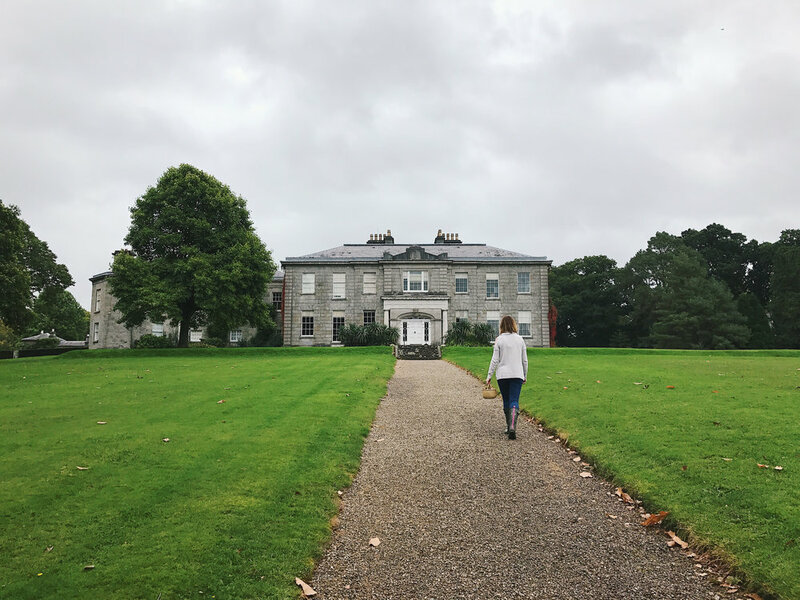 What's on at the Argory? + This Saturday, October 7th, Cool FM are visiting the estate. There will be games and live entertainment, along with a BBQ, arts and crafts and a treasure trail. + During half term, as always, you can follow the Halloween trail around the estate, carve out a pumpkin and try ghoulish treats in the cafe. So what are you waiting for? Visit The Argory and make some magic! Please note: Opening times vary seasonally - see here for more details and pricing info.